Blog I Will Restore You! Even as the manna melted away in the hot sun in the wilderness, so shall the spoil that the enemy took from you melt in fervent heat, and consume away, Says the LORD. For as I created the manna for My people, so it is with that which I gave you, that the enemy stole from you. Do not fret about the ashes of your Zig-lag that the enemy destroyed, for what awaits you is FAR GREATER. I will restore you and give you more than enough. I will turn your sorrow into joy, not as you look back to recover, but look forward to what I create for you that is NEW, says the LORD. I never had to send My heavenly host of angels to recover the manna that was on the ground, so that I could save it and send it again the next day, says the LORD. I gave fresh, new, daily bread, and I will do the same for you. You will drink the new wine that will make your heart glad, eat the fresh manna, and enjoy the benefits that I daily load you with. I have an unlimited supply and need nothing of the past to create all things NEW for you, says the LORD. 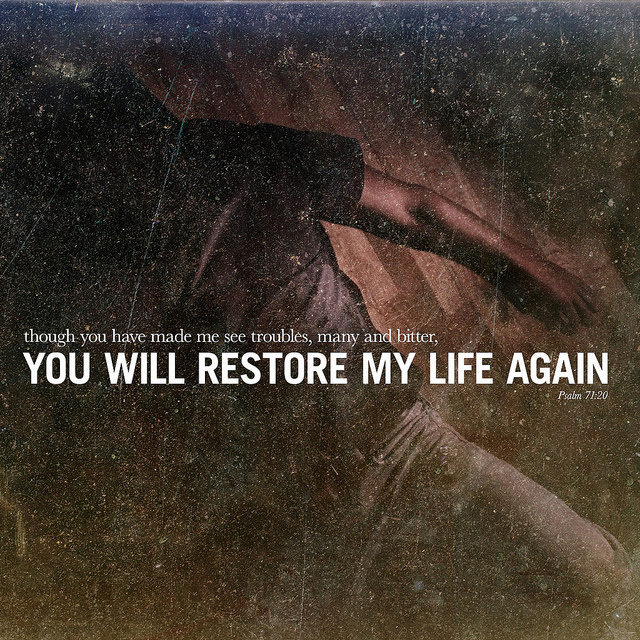 31 Responses to I Will Restore You! THANK YOU MY FAITHFUL FATHER GOD, SO SHALL IT BE UNTO ME & MY LOVED ONES, IN JESUS NAME, AMEN AND AMEN! Thank Lord, for these words of life! Tears tears tears. Thank you Father God. You are so wonderful and so awesome. Amen amen amen ! This post is the only hope Ive felt in a while. Thank you so much for sharing. This has been the hardest season of my life. Yes. Lord yes Lord. Amen.